The only way to read the comic seems to be to click on it. It should open in a new window at full size. But the important thing is to have a good time. 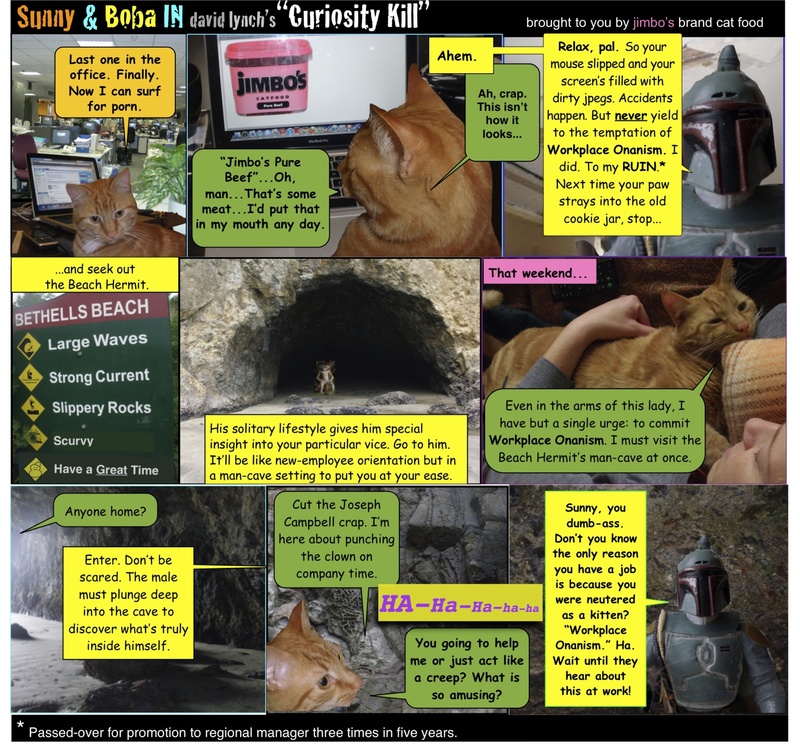 So without further ado, here’s Sunny and Boba in “Curiosity Kill” (Written by me and Jacquie. With special thanks to Jimbo’s brand pet food). I’m about to start a new job so I’ve printed this out to re-read on my commute.